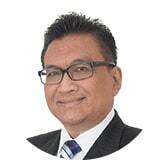 Fadjar is recognised as a leading Indonesian lawyer in the energy, natural resources and infrastructure sectors. Fadjar has advised local and multinational companies on project developments in the energy and natural resources sectors for clients. He has also assisted in project financing as well as acquisition of interest or shares, in infrastructure (including toll road, water and electricity), project finance, corporate, M&As, foreign investments, telecommunication, aviation and shipping. Fadjar’s career started in 1991 as an associate at Mochtar Karuwin & Komar and then continued at Freshfields Bruckhaus Deringer’s Singapore office before making partner at Soemadipradja & Taher. He is recognized by Asialaw Profiles as a Market-leading Lawyer for Energy & Natural Resources from 2014 until 2017.